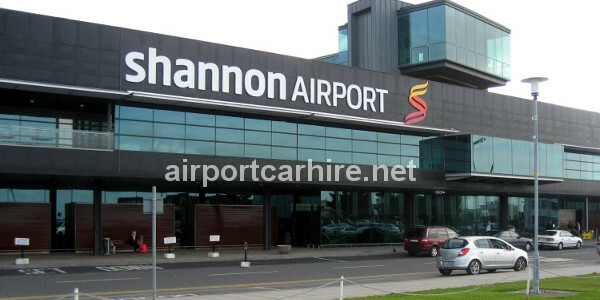 Shannon International Airport located in Co Clare beside the Shannon Estuary in the West of Ireland. 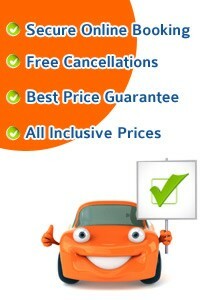 It allows passengers easy access to travel on to Limerick, Galway, Dublin, Tipperary, Kerry, Cork, or Waterford. Shannon International Airport offers a stop off point for many transatlantic flights. 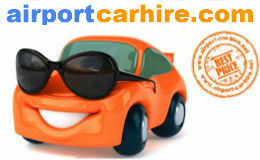 We can arrange one way rentals so you can drop the car back at Dublin Airport, Cork Airport or Kerry Airport. 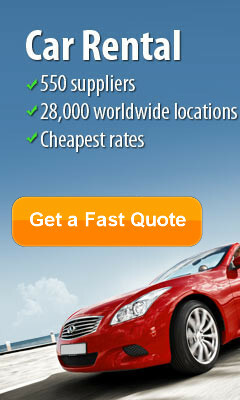 Take this opportunity to get the best car rental deals in Shannon... CHEAPER. Dublin airport, Cork, Shannon and Belfast Knock, Kerry, airports Rent A Car from Hertz, Avis, Alamo, Budget, Dollar, Sixt, Thrifty and Europca. Information Desk: Information Desk is located in Shannon Airport terminal along with the tourist information office and tour desks. Disabled Facilities: Facilities: Passengers should make arrangements for Person with Reduced Mobility assistance directly with their airline, however non pre-booked assistance can also be requested from One Complete Solution Ltd (OCS) at the airport on the day of travel. The service is available daily between 04:30 and midnight and shall be extended for situations such as delayed / diverted flights outside of normal hours of operation. On arrival at the airport OCS can be contacted for assistance from any of the contact points in the short term car park or long term car parks 1, 2 or 3. Full US Preclearance facilities to passengers travelling to the USA. The Shannon area has a wealth of visitor attractions in the County Clare area and is also close for touring Limerick, Kerry and Galway. 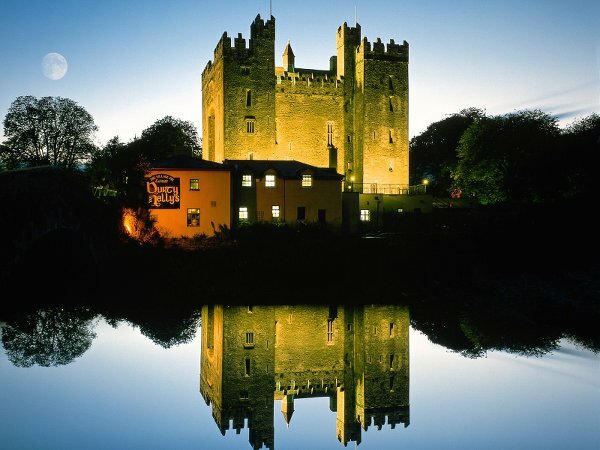 The County of Clare offers many visiting experiences such as Bunratty Castle and Folk Park, just a short distance from Shannon Airport and also enjoy an overnight stay in the wonderful Dromloand Castle. The Burren area in County Clare known for its unusual flora and fauna in this area, and walking in Kilfenora, also enjoy a traditional Irish music session and dancing in Doolin and Miltown Malby or visit the breath taking Cliffs of Moher with views of the Atlantic Ocean. 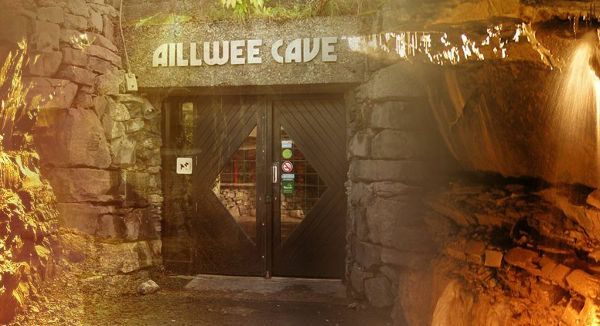 Explore the Ailwee Caves and Doolin Cave. The Shannon Region is home to the River Shannon, Irelands longest river which offers a chance for visitors to enjoy a cruise or barge holiday on the Shannon which has 150 miles available to navigate on these beautiful Irish waterways. Lough Derg the largest lake of this waterway offers some beautiful scenery and enjoy walking the Slieve Felim Way through Limerick & Tipperary. Take a visit to the beautiful medieval village of Adare, with its picturesque thatched cottage lined main street, just 40 minutes from Shannon Airport. 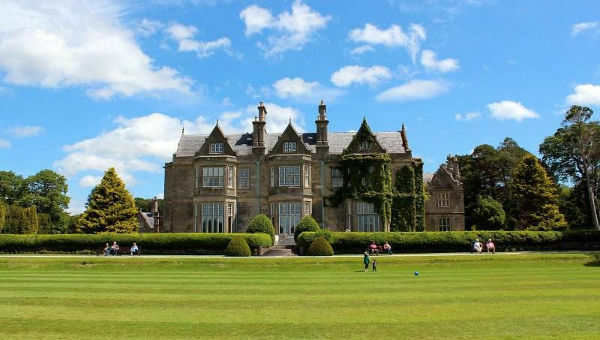 While in Adare visit the sights such as Desmond Castle, The Augustinian Priory, the beautiful Adare village park, The Holy Trinitarian Abbey, The Franciscan Friary and home to the renowned Adare Manor. Proceed to Limerick with attractions such as King John's Castle, the Hunt Museum to a visit of Foynes Flying Boat Museum. A trip to Kerry would not be possible without viewing Muckross House & Gardens, Ross Castle in Killarney and a trip out to see Killarney Lakes by pony and trap (jaunting cars), passing through Molls Gap, enjoy the view from Ladies View and the Torc Waterfall. Visit the Dingle region in Kerry and take a ferry to look for the friendly dolphin "Fungi" and maybe enjoy a swim with him! The beauty of the Dingle Peninsula has played host to many films including Ryan's Daughter with Robert Mitchum and John Mills and Sarah Mills and Far & Away staring Tom Cruise and Nicole Kidman. Travel on and enjoy Sneem, take a boat trip out to Skellig Michael monastic UNESCO World Heritage site. Waterville a favourite visiting spot of Charlie Chaplin and his family. Kerry offers some wonderful beaches and bays around the area including Dingle Bay, Kells Bay, Rossbeigh Strand, Brandon Bay and Ballyheigue and Ballybunion Beaches. Derrynane, Ventry and Inch Beach, all Blue Flag beaches. A visit to Birr Castle Demesne in South Offaly can be enjoyed, home to 'The Great Telescope' build in the 1840's by the Third Earl of Rosse, or walking in the Slieve Bloom mountains and take in a visit to the large monastic site of Clonmacnoise. Birr Castle Demesne plays host also to the Irish Hot Air Balloon Championships in September. Explore Nenagh Castle in Tipperary built by an ancestor of the Butlers of Ormonde, Theobald FitzWalter, also in Nenagh see the remains of the Franciscan Friary, the Gate House of the former Gaol and an example of Gothic architecture in the local parish Church of St Mary's. The Park Inn Shannon Airport Hotel is the ideal stopover for those catching an early flight or arriving late and offers excellent value to both business and leisure guests. Shannon Free Zone & Technology Park, Westpark and Smithtown Industrial Estate are only 5 minutes drive from the Park Inn Shannon Airport making it the perfect hotel for business travellers. The hotel is also an ideal base to explore popular attractions such as Bunratty Castle and Folk Park, Ballycasey Craft and Design Centre, the Burren, County Clare, Adare or Limerick with attractions such as King John's Castle, Hunt Museum and the newly built Thomond Park, home of Munster Rugby in Ireland. Oak Wood Arms Hotel The hotel is just 3km from Shannon Airport and provides an excellent base from which to explore all that the West of Ireland has to offer - including Bunratty Castle & Folk Park, Cragganowen & The Cliffs of Moher. Relax with a pint in Sophies Lounge while watching a match on on our big screen. Alternative enjoy dinner in our Palm Court Restaurant, which offers a mouth watering selection of options in a beautiful setting.